Every now and then Steam releases games for peanuts, like during their annual summer sales. A Steam purchase, however, is only half the battle. You’ll have to download these games too, which can be a herculean task after a buying binge. Moreover, if you have a poor internet connection you can find yourself downloading for days on end. That is, until now. There are ways to speed up Steam downloads. Seriously, close your browser. As much as internet speeds are something of a mysterious force, there are a few obvious ways to cut down on your extraneous data use. The easiest method is hiding in plain sight: your Taskbar. Right-click on your Taskbar and select the Task Manager. Next, click on the Network category. If you see any pesky programs hogging up your network connection, particularly currently running games, right-click on the program and select End task. Another little trick to optimize Steam’s download speeds also lies within your Task Manager. First, open Steam and locate the software in your Task Manager. Right-click on Steam Client entry and select Go to details. Next, from your Detail panel, right-click on SteamService.exe and select Set priority, then High. While this won’t radically alter download speeds, it will inform your PC that Steam deserves a higher priority than the rest of your programs, background or otherwise. While Steam does do its best to provide users with the most optimal speeds available — thanks, Gabe Who Is Gabe Newell And Why Do Gamers Care? Who Is Gabe Newell And Why Do Gamers Care? In every area of technology, we have figureheads. For the desktop, laptop, and now even smartphones, Bill Gates and Steve Jobs should both be names that ring bells. For our internet and social networking, someone... Read More ! — Steam’s download speeds will largely depend on the speed of your own internet connection Start Testing Your Internet Speed Right From the Desktop Start Testing Your Internet Speed Right From the Desktop We all know about Speedtest's online interface, but now you can test your internet even more conveniently. Read More . Though it’s understandable that not everyone has access to a powerhouse internet connection, there are a few things you can immediately do to better your overall online connection. My topmost recommendation would be to download games using a physical Ethernet connection Networking 101: Ethernet, LANs, and How They Work Networking 101: Ethernet, LANs, and How They Work Even for modern users, the language surrounding home networking can be a little confusing. What's a LAN? Why do I need an Ethernet cable? Isn't it all the same? Read More . This also means tracking down your LAN drivers and installing the latest ones. To do so, you’ll have to locate your motherboard’s make and model. Click on your Start Menu, type cmd, and click on the Command Prompt option. Enter the following into your prompt and hit Enter on your keyboard. Google your motherboard’s make and model to locate its Support page. From this page, you’ll be able to locate and download the latest LAN drivers. Finally, connect your modem to your PC via an Ethernet cable. That’s it! Steam downloads are regional 5 Secrets Of The Steam Client That You Should Be Using 5 Secrets Of The Steam Client That You Should Be Using Are you sure that you're getting the most out of your Steam client? If you aren't careful, there are some really useful features and tools that you could be looking over. Read More , rather than centered in one global location. At times, Steam will incorrectly read your location. This means you could be located in Los Angeles, while your downloads are centered in Philadelphia, which could dramatically affect download speeds. To change your download region, open Steam and head to Steam, and then Settings in the upper left-hand corner. From the Settings window, click on the Downloads category. Next, click on the drop-down menu below Download Region. Set this option to the closest server available in your area. For added measure, set the Limit bandwidth to option in this window to No limit. While choosing your closest server is typically your best bet, it isn’t always. For example, I live in an area with high download rates and high levels of traffic Check Website Traffic With These 7 Top Tools Check Website Traffic With These 7 Top Tools Checking your website's traffic isn't hard with the right tools. This article summarizes seven of the best traffic analysis sites. Read More . This affects the overall speed of your download: the higher the traffic, the more clogged your connection. You can, however, relocate the server in order to find the right balance of traffic and download rates. First, head to Steam’s Download Stats. From this interactive map, you will be able to check the average download rate and percentage of global traffic. Click on a country to see the download rates and traffic. To provide an example, let’s take the United States and China. Although the U.S. has a slightly larger average download rate, it also has almost twice the global Steam traffic. While your download rate results may not radically change (as proximity is also a factor in download speeds) changing your current server to one with a greater download rate or less traffic will certainly help download speeds. There’s nothing sadder than slow download speeds. That’s why we’re here to help. 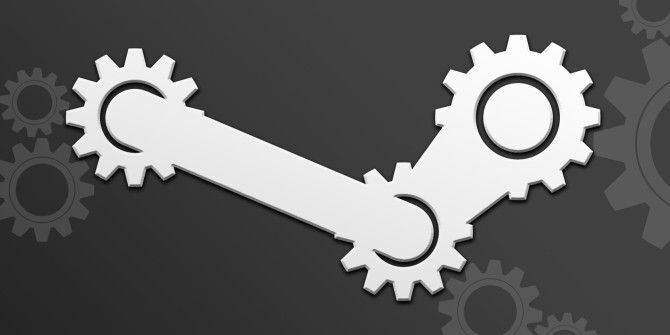 If you’re experiencing slow download speeds on Steam, take a few minutes to enact these tips. After all, those MBs add up! And if you’re wondering how Steam account security works The Steam Account Security Guide for Newbies The Steam Account Security Guide for Newbies Whether you're new to Steam or a veteran, it's easy to protect your games and other data using Steam Guard. Here's how to do it. Read More or how to stream your games to TV from PC 5 Ways to Stream Video Games From PC to TV 5 Ways to Stream Video Games From PC to TV There are a handful of ways to stream video games from your PC to your TV. In this article, we take a quick look at them all. Read More , check out our helpful guides. Explore more about: Computer Maintenance, Download Management, Steam, Windows 10. Mr Bonilla, thank you for your advice, but your article does not live up to its premise. If I go to the Windows "Task Manager" and change the Priority of "SteamService.exe," does that "Optimize Steam's Software?" It is neither changing any Steam software setting (it is changing a Windows setting), nor optimizing anything at all. Does the process of updating my network adapter's drivers (a process you call "updating LAN drivers") qualify as "Optimizing My Data Connection?" Updating drivers can perhaps contribute, in a minor way, to the optimization of a data connection. But the two things are not synonymous (in Windows, if any of a network adapter's Advanced Properties have been adjusted, updating the driver will return them to their default settings, so any performance gains which had resulted from those adjustments will be lost, therefore resulting in a relative decrease in performance; your article should have at least pointed out that such adjustments would have to be remade, after the completion of your recommended driver update). Your intentions are good, in that you are ostensibly trying to share tips on how to optimize Steam's performance. Yet you misrepresent your advice, because you label it as something it isn't, and you even offer a tip which could easily lead to worse performance, if precautions aren't taken. 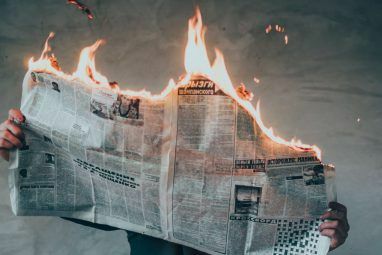 Please revise your headlines, headings, and information, so that your work no longer resembles the mass of bad-faith deceptive clickbait garbage that chokes the world wide web today. Christian is a recent addition to the MakeUseOf community and an avid reader of everything from dense literature to Calvin and Hobbes comic strips. His passion for technology is only matched by his want and willingness to help; if you have any questions concerning (mostly) anything, feel free to email away!